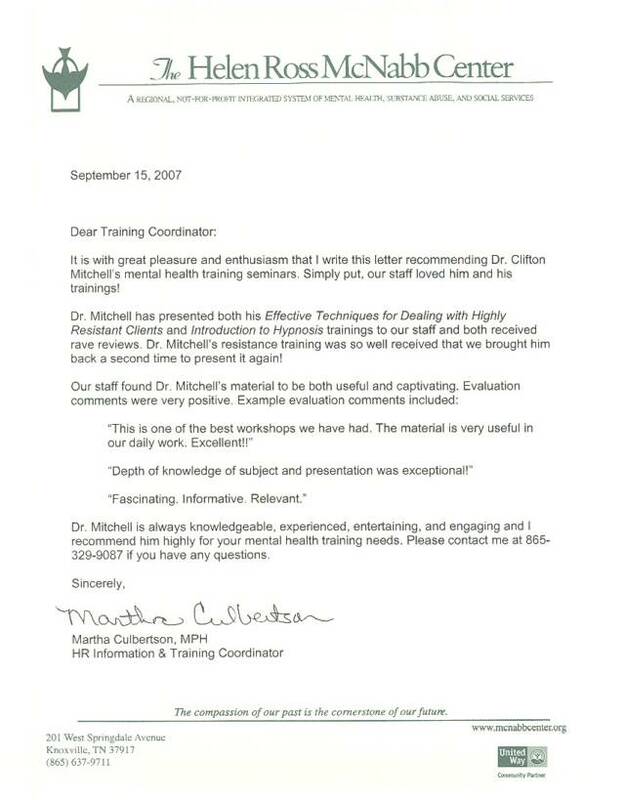 "The training is not only extremely loaded with great useful techniques, but it is also very intriguing and entertaining. Never a moment of boredom." 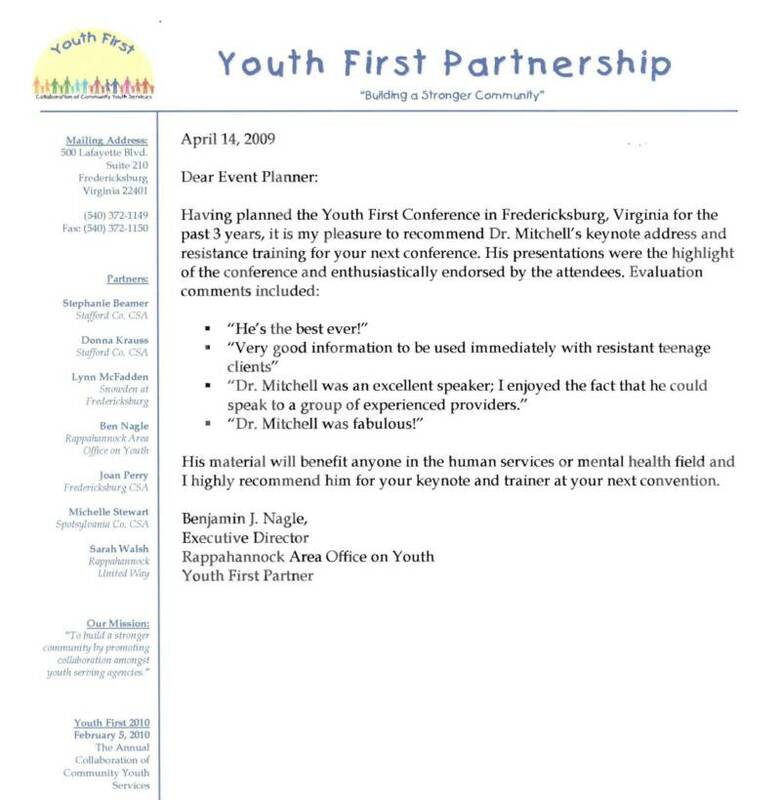 As a 25 year event planner veteran, it is refreshing to have had the pleasure to present Dr. Clifton Mitchell as our Keynote Speaker and Workshop Presenter in 2008. 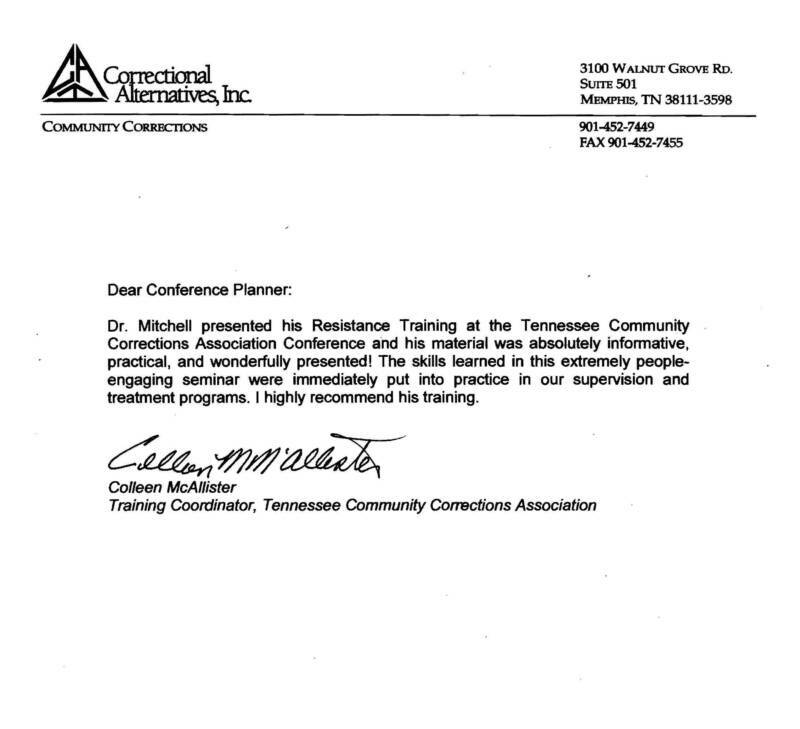 Our conference hosted over 900 participates that were present for the Keynote Presentation. 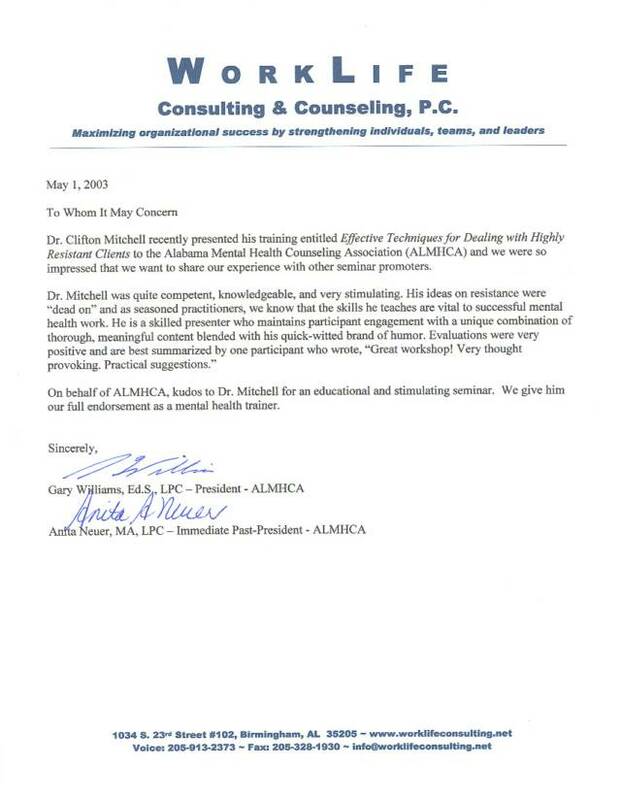 On a 1 to 10 scale this keynote was a resounding 10 for mental health conferences! 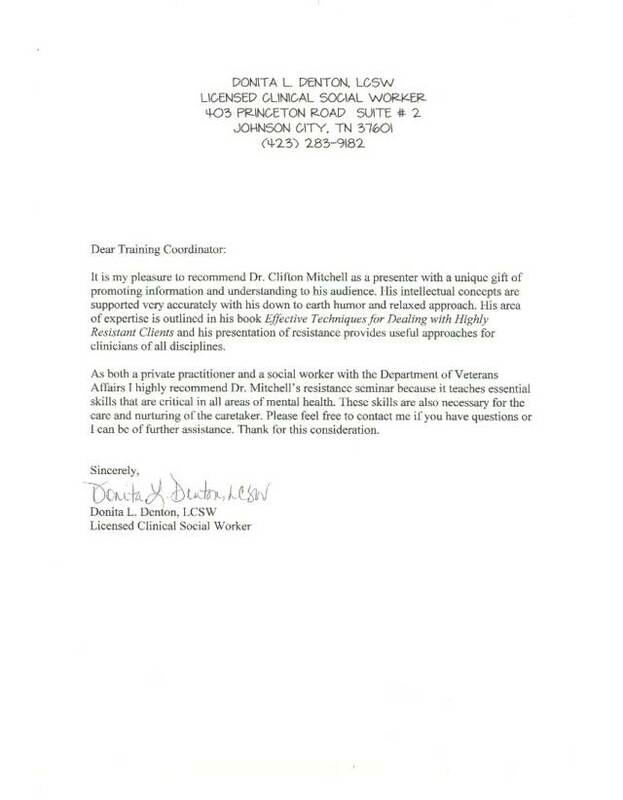 Dr. Clifton Mitchell is a very charismatic presenter who held everyone’s attention while he brought a very serious topic to us in an understanding way. It was wonderful how he incorporated humor to present such a powerful, therapeutic message. 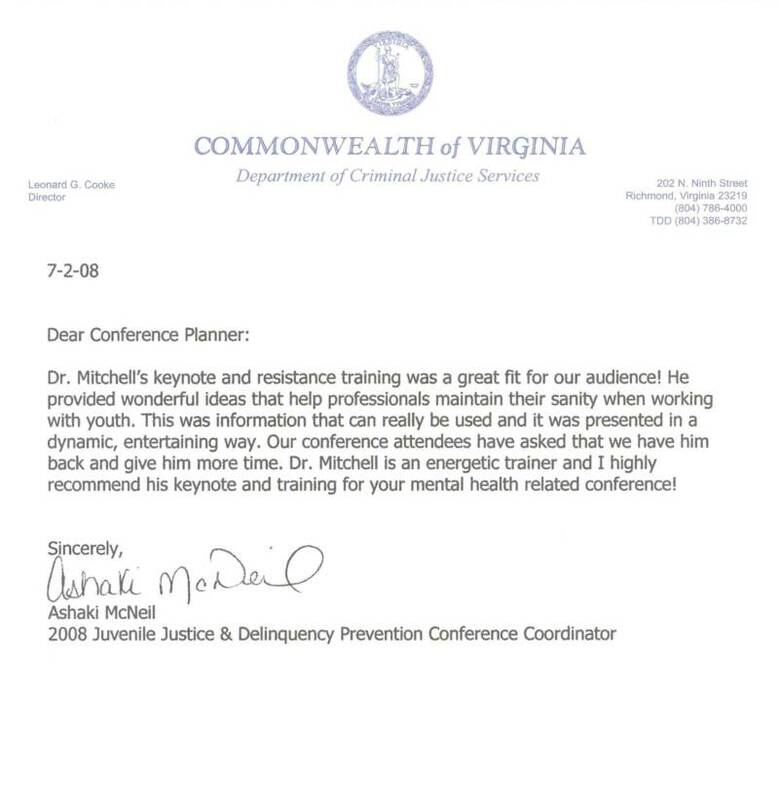 The keynote was followed up with his training on “Effective Techniques for Dealing with Highly Resistant Clients.” Attendance for the resistance workshop was outstanding with over 125 present and comments were extremely positive. The resistance material was presented in a dynamic, fast pace, with lots of laughs. 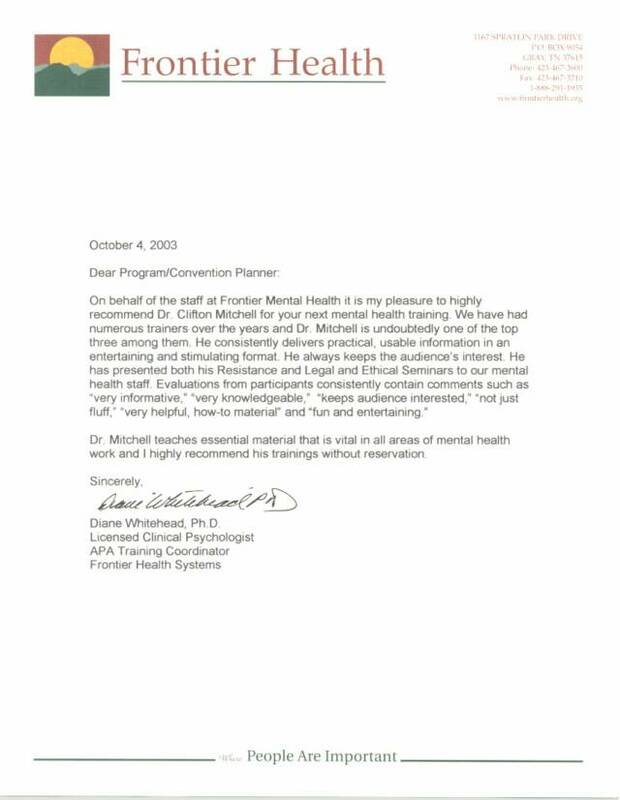 The mental health professionals enjoyed themselves as they learned. 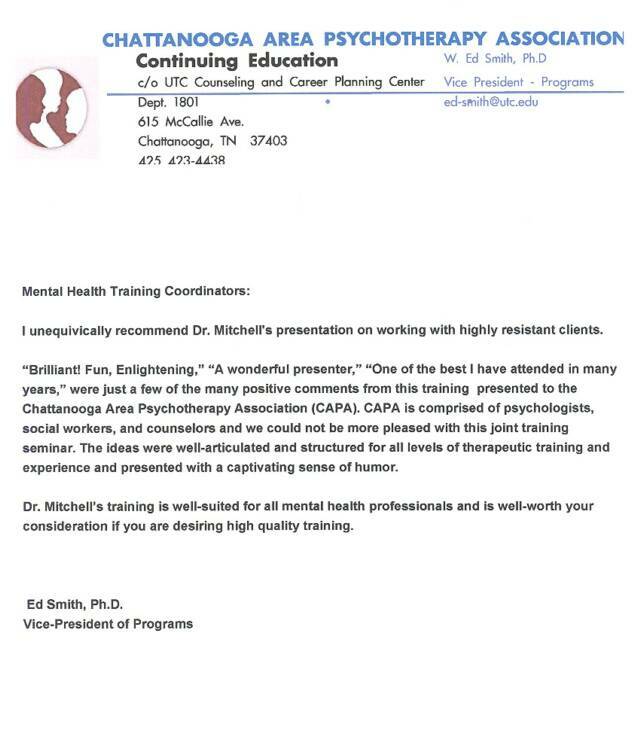 I highly recommend Dr. Mitchell’s keynote and resistance training without reservations at your upcoming mental health convention. 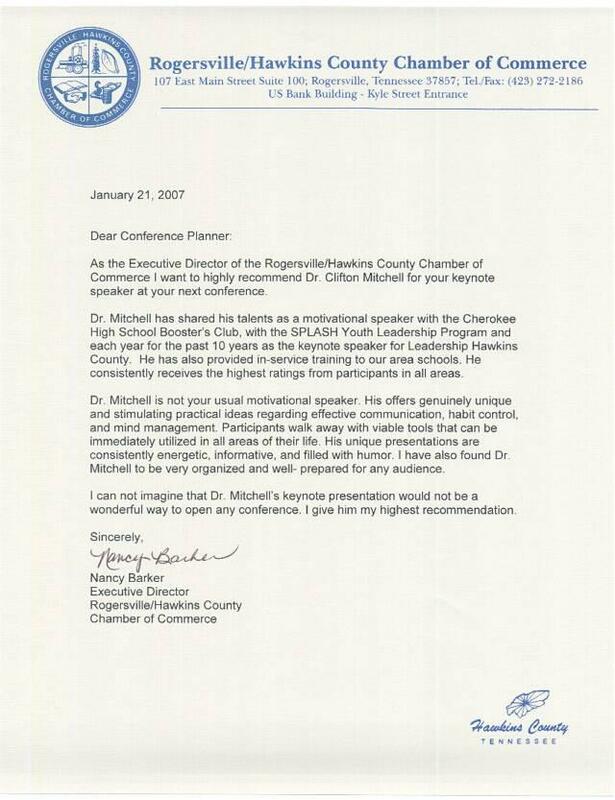 "Dr. Mitchell is not only very entertaining and informative, he presents real life examples with practical application. This conference is not one that you just "learn," it's one you can apply in your day-to-day work with your clients. 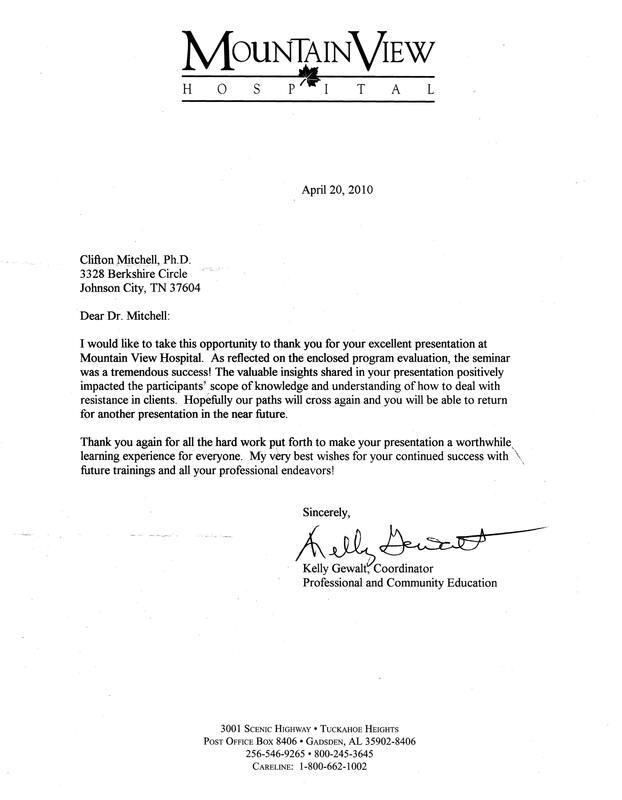 Dr. Mitchell was very friendly and easy to contact, schedule, and work with to present at a state-wide conference."